While many investors are targeting the Euro to collapse and betting on the weakening of the overall European economy, somehow they’re still hungry for debt.Investors went heavy into the latest Irish debt auction yesterday (March 16), at the lowest spreads over the German Bund since 2008, just when the financial crisis started to tear Ireland apart. 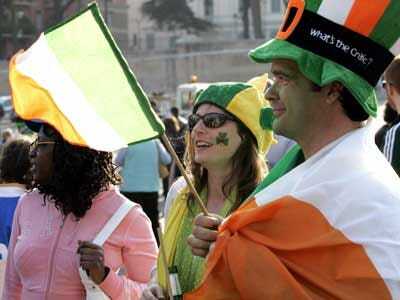 Ireland has already sold half of the estimated 20 billion Euros ($27.5 billion) in debt it plans to sell this year. The Ukraine, which weeks ago was under severe political and economic instability, has just had a glittering debt auction, according to FT Alphaville. The country has a new prime minister, coalition government, and has turned the corner towards stability. As such, capital is flowing back into the state, with $9.3 billion of hryvnia ($1.15 billion) coming in through the latest bond issuance. All of this points to increasing confidence in European government stability, coupled with a renewed pursuit of risk. Someone out there is bullish on European debt.